This is a live-blog report on events in Iran on the anniversary of the 2009 Iranian presidential election. As reports come in, they will be placed at the top of this page. To read this in chronological order it must be read from the bottom up. Please also note that the time-stamps are for when we posted something; they do not represent when the events posted occurred as the actual times of occurrence will vary depending upon when they are uploaded to the Internet, and when we receive them. Also please note that Iran News Now is not affiliated with any of the individuals or groups that filmed the videos. Some videos will have associated text, and names of organizations displayed. We are simply sharing the content via this live-blog. What an amazing 24 hours in Iran today. On June 11th, a day before the anticipated anniversary of the rigged election, prominent green movement members, Mir Hossein Mousavi and Mehdi Karoubi, issued a joint statement calling off the protests out of fear of potentially heavy violence and bloodshed. This is something they had not done in the past. Normally they have either remained silent altogether and followed the lead of the people, or they have tacitly or explicitly supported the protests. Nobody could predict what ultimately happened. In the end, even though there was a massive regime security presence, people did managed to get into groups and protest, as can be seen in the videos below. While the volume of protesters amassed in any given area was nowhere near the millions we saw marching in unison in non-violent, silent protest last year, even the fact that so many people did protest can be considered yet another victory for the people’s movement. This is because considering the explicit threat of violence from the Supreme Leader, Khamenei, and the track record of brutal crackdowns by the regime, it takes a tremendous amount of courage to go out and do what we witnessed people do today. The protests are acting as very strong symbolic messages to the regime and the world. The people of Iran are repeatedly debunking the incorrect narrative propogated by some people that the movement is dead. It is not only not dead, but it is growing, and even thriving behind the seens. While Mousavi and Karoubi have courageously stood firm against the regime for the past year, it will be interesting to see how things pan out with respect to their relevance within the movement as time moves forward. Will the fact that they called the protests off disillusion some of the young protesters, eager for rapid change in the system? Or will they maintain their credibility despite the fact that many people did show up to protest. Obviously they will still remain important players in this play, but more and more, other potentially more potent leaders that are more in tune with the people are beginning to gain ground and popularity, perhaps without even knowing it. One such person is Majid Tavakoli, currently held in Evin prison and bravely defying the regime and inspiring the people. Mousavi and Karoubi are reformists at heart. They do not want the system to move beyond Islamic Republic. But more and more are calling for an Iranian Republic. I think today’s protests show that the movement is alive, and strong, and that resistance to the regime and government will continue. For Mousavi and Karoubi to remain relevant, and to return to a place of clear, prominent leadership, their only real choice is to ultimately move with the people. A balancing act is required in order to prevent anarchy from taking hold and leading to possibly something worse than the current Islamic Republic. The reformists can definitely play continued role there. Ultimately, in the 21st century, it’s difficult to see how a God-king leader like Khamenei can keep hold of power, especially considering that his threats and brutality have not been able to silence the movement. This marks the end of our live-blogging activity for today, but by no means does it mark the end of what will likely be a stream of news and stories about the day. Iran News Now will report on the aftermath of today as more information comes in. Picture (via Mehdi Saharkhiz) showing regime security goons (“storm troopers”) on their distinctive red motorcycles–heavy presence in the streets. Another video from the Sharif university protest. A large crowd is seen. CNN Video summary of some key events in Iran. A row of security officials are seen under a bridge in Tehran. Video from @onlymehdi showing multiple security vans and forces in the street in Tehran. Multiple uniformed officials are seen riding motorcycles. Josh Shahryar has confirmed that there have been 21 arrests so far, 6 near Tehran University, 12 in Enghelab, and 3 in Vali asr. Another video from Sharif University protests. After an unusually silent day, reports are coming in on activities on the ground in Iran. We have summarized a list of events gathered by Enduring America. Many of the reports come from Reza Sayah @sayahcnn of CNN. Reports indicate that police are blocking off westbound Revolution [Enghelab] Ave towards Azadi Square. Sayah also reports thousands of riot police in all major squares and intersections Tajrish, 7 Tir, revolution [Enghelab] Avenue. 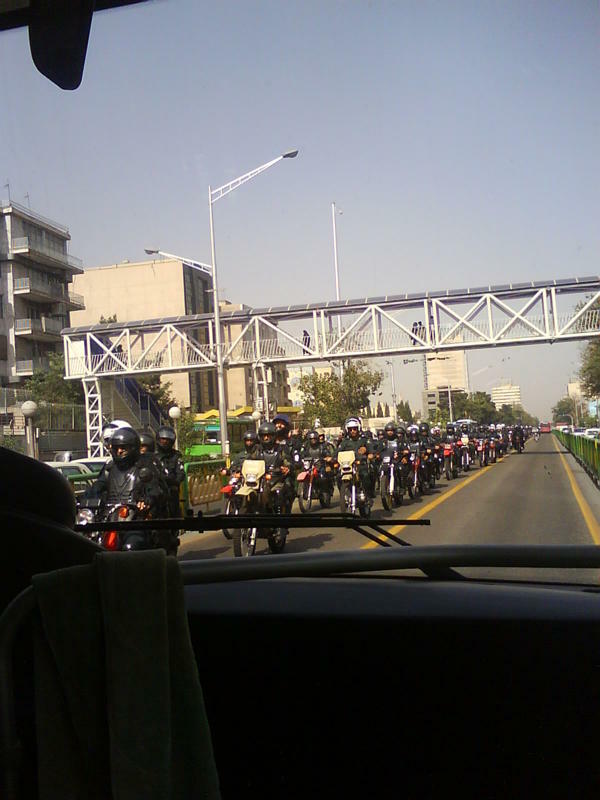 There are also accounts of three people being arrested, “blindfolded and taken away on motorcycles” in clahes at Vali-e Asr Square in Tehran. It appears as crowds gather they are quickly being chased away. 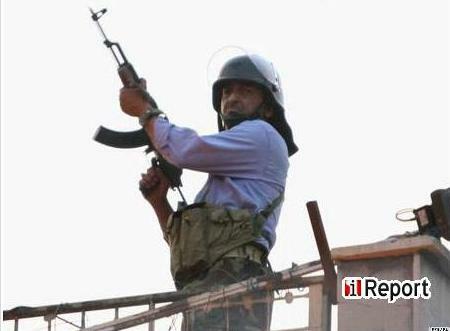 Radio Farda reports several witness describing clashes between people and police near Enghelab Square. A video of protest from Sharif University in Tehran has been circulating but there has been conflicting reports about the clip. We will post it here but it has not been confirmed. We will be taking a break from coverage, but will return in a few hours. So far things are quiet as a mouse for the most part. Historically over the past year, the first videos from would arrive right around this time. There have been several reports indicating that Tehran is unusually quiet. We have unconfirmed reports of plainclothed militia seen in various locations throughout the city. Also have reports of Internet access slowing down to a trickle. This is the hallmark of the regime preparing for protests by attempting to block the net as a vehicle for getting information in and out of Iran. This has happened during virtually every critical day since the rigged election last year. The Guardian documentary team that Iran News Now and Dissected News worked with a few months ago has confirmed in this must watch documentary video that the regime hired and payed Lebenese mercenaries to do the shootings/killings of protesters from rooftops. This is proof of an allegation that many of us who were reporting on the crackdowns last year were seeing evidence of and reporting on. The proof comes from the mouth of a relatively high-ranking Revolutionary Guards defector. Admired student leader and activist, Majid Tavakoli, already considered a hero of the green movement for his bravery in facing the regime, and currently held in Evin prison (since Student’s Day protests in December of last year) has written two inspirational letters from prison. His arrest and subsequent humiliation by the regime for (allegedly) wearing a hejab in an attempt to evade arrest, sparked a worldwide protest in solidarity with him. Men from around the world wore hejabs and filmed themselves, saying “I am Majid Tavakoli.” in solidarity with him, basically turning the regime’s attempt to humiliate him back onto the regime. Suffice it to say that Majid Tavakoli has become a symbol of the people’s movement in Iran, and if anything were to happen to him, I think it is safe to assume there would be an uproar within Iran that could be potentially dangerous for the regime. He is as much a leader of the green movement as Mousavi and Karoubi, in the humble opinion of the author. Authorities in the Prosecutor’s Office have told Tavakoli that they have the power to do anything to him. They have further stated that he should not forget that he is still imprisoned and he has not yet experienced what “oppression” and “injustice” could do to him. “This movement started with the simple question: ‘Where is my vote? '” she said. “But because the response was violence and bullets and repression from the ruling regime, the situation entered another phase which was completely unpredictable. People’s demands have changed so now there are more fundamental questions and more intensive criticism of the regime. The Islamic republic has deviated from its path and goals. The Greens appreciated the international sympathy they had attracted, she said, but the “movement is not looking for the support of foreign governments at all and wants to stands on its own”. Rahnavard, a grandmother who wears colourful headscarves over her black chador, broke with tradition by campaigning with her husband – even holding hands with him in public – and quipped that Michelle Obama was “America’s answer” to her. She poured scorn on Ahmadinejad after he attacked her in a TV debate by suggesting her academic qualifications were earned not on merit but through patronage and corruption. Life under pressure from the regime and its supporters was not easy, Rahnavard said. She had been beaten and sprayed with pepper gas, she said. 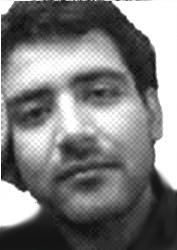 Mousavi’s bodyguard was arrested recently. Harrassment, abuse and danger were constant. Protests planned for tomorrow to mark the anniversary of the election have been called off because of fears of more violence by the security forces. Kaleme, the news website closely associated with Mir Hossein Mousavi, writes that the reason that Mousavi and Karoubi called off the protests for today was because the regime was planning to basically frame the protesters by starting violence and blaming it on the greens. Citizen journalist Persian Banoo reported about 10 hours ago that a friend of hers reports that police entered their apartment building because of chants of “Allah-o-Akbar”. For those unfamiliar with the phrase, and why it is significant as a form of protest, “Allah-o-Akbar” means “God is Great” in Arabic, and it is a phrase that was used during the 1979 revolution that overthrew the Shah of Iran. It is an Islamic phrase that the people of Iran are now co-opting to protest against the regime and government of Ayatollah Khamenei and “President” Ahmadinejad. It’s ironic because the slogan used to be a sign of support for the Islamic Republic, and now it is in protest to it (or at the very least its current leaders). The fact that the regime has been arresting people for using this slogan to protest the current government shows its hypocrisy. In other news, our friend James Miller, is also live-blogging today’s events and news on Iran here. WARNING Extremely Graphic Video: New footage of Neda’s death showing blood gushing from the nose as horrified bystanders scream. Too often we underestimate the sustainability of morally bankrupt regimes that have mastered the art of repression coupled with financial co-optation. In the cynical words of a scion of a powerful clerical family, who told me once: “When you have control over the oil revenue, you can run this country with a few million supporters and 20,000 people who are willing to kill and die for you.” Maybe, though that formula did not work for the shah. According to Jaras, on the eve of the 22nd of Khordad (June 12th), Zahra Rahnavard issued a statement commemorating the Green movement. In this statement Ms. Rahnavard described the bare minimum demands of the people and political activists in Iran. She also once again demanded the unconditional release of political prisoners and an apology to Hassan Khomeini (grandson of late Ayatollah Khomeini) over the unacceptable and disrespectful manner in which he was treated at the last Friday Prayers. – Respect for humanity and the right to exist, rather than humiliation, deception, suspicion & cynicism. – Respect for freedom; freedom of speech, freedom of expression & freedom of thoughts, rather than suffocation, closure of newspapers and singling out the media. – Respect for free and fair elections, rather than rigged and engineered election results. – Respect for individual freedoms; respect for ethnic, and language based minorities and respect for cultural diversity and varying points of view. – Release of political prisoners and university students rather than expulsions from universities, bans from completing studies and firings from jobs. – Respect for women; for their dignity; for equal rights and against any form of discrimination as a means to resolve the challenges that face humans of all ages and generation, rather than humiliation, discrimination, and polygamy in a modern world and according to laws that are miles away from the teachings of our dear Islam. But alas, the desires of the Iranian nation for change were crushed through the secret engineering and manipulation of the people’s votes; the first act of an electoral fraud that later became known as the electoral coup d’état. 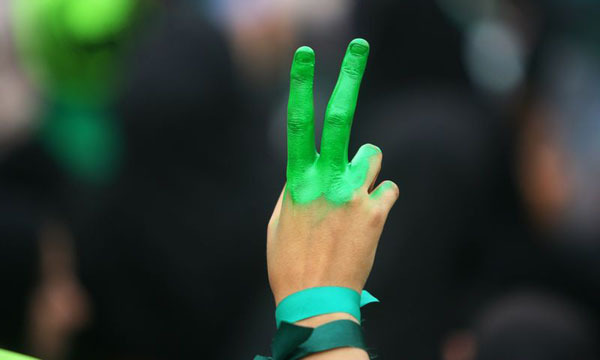 The day after the 22nd of Khordad, the people of Iran began to honestly and earnestly demand “Where are our votes?”; a question that was responded to with unprecedented violence, bullets, imprisonment, and death and martyrdom; behavior that no sovereign power should ever allow itself towards its people, unless it claims that it is proud of its own dictatorship. The glorious nation of Iran offered flowers in silence on the 25th and 30th of Khordad; flowers that were met with bullets. The nation of Iran, handed out flowers in the memory of the great Islamic Revolution when they said “We offered you flowers and in return you shot us”. The great Nation of Iran once again demanded their honorable rights. The ruling government however, took a knot that could have been easily opened with the tip of a finger and chose instead to respond with guns, bullets, and imprisonment. What started as a small number of requests became a mountain of demands. Today we are witnesses to the increase in the strength and resolve of the Green movement within the context of a historic and contemporary Iran. On the eve of the anniversary of the events of the 22nd of Khordad, patience and resilience have taken the place of the change that was demanded by the people of Iran; this in a back drop of crisis that has deprived us of unity and undermined our national security. 5) Realistic position, acceptable by the nation, towards international sanctions that have been caused by the unacceptable and incorrect behavior of the ruling government both nationally and internationally. 6) Respect for minorities and the creation of opportunities for cultural development in the area of ethnic and linguistic minorities as a means to flourish confidence and national unity. 7) An apology and offer of reconciliation to Imam Khomeini’s family and Mr Seyed Hassan Khomeini , a war veteran and renown scholar in religious seminaries and also punishing those who were insolent. Peace to all followers who sacrifice. Support for the Iranian people at the World Cup! CNN reports Nobel Peace laureate Shirin Ebadi associate arrested. Narges Mohammadi, a member of Ebadi’s Defenders of Human Rights Center — known as Iran’s leading human rights group — was arrested overnight at her Tehran home, the U.S.-based International Campaign for Human Rights in Iran reported Friday. No information is available about the arrest of Mohammadi, whose whereabouts are unknown, said Hadi Ghaemi, a spokesman for the campaign. Even now, 18 hours after the news emerged, there is still a sense of confusion over the statement by Mir Hossein Mousavi and Mehdi Karroubi that they were withdrawing their request for a permit to march on 12 June, the anniversary of the 2009 election. As the news circulated, some reacted with disbelief, some with anger, some with resignation, and some with the assurance that this was the best course of action or even part of a wider scheme. Above all, however, there was this question: so what happens tomorrow, on 22 Khordaad? Strangely, given that we are less than 24 hours from that occasion, my belief is that it’s too early to tell, certainly to put up an analysis. I say that for two reasons. First, there are curiosities in the chain of events. On one level, the Mousavi and Karroubi decision is straightforward: they made their approach to the Ministry of Interior, the Iranian authorities are stalling until the last minute before making a likely denial, the possibility that many people may be hurt if they turn out in the face of a heavy security presence makes a demonstration problematic. Yet there are still gaps: given that Mousavi and Karroubi have referred for weeks to “other ways” of pressing opposition even if the permit was not granted, what is the Plan B? Is there really no suggestion beyond a general reference to ”the path of the people” before 22 Khordaad comes and goes? Which — perhaps as a diversion — takes me back to an event at the start of the week. Mousavi and Karroubi, we were told, held a press conference in front of representatives of about a dozen reformist and Green media outlets. A photo of the two men was released, and further details were promised. We looked on Monday, Tuesday, Wednesday. We searched for transcripts, video clips, even a summary of what was said. Nothing. And so — before possibly going too far off the track or too deep into what should remain unexamined for the moment — what was discussed at that press conference? The second and more important mystery beyond yesterday: opposition and the Green Movement are not just Mousavi and Karroubi. Indeed, in line both with their wishes and with the sentiments of many others, I do not refer to them as “leaders” of the opposition. They are important figures, but they are not the sole guardians of the challenge to the Iranian Government. So today I watch for others: the reformist parties, the students, the women’s movement, the labour movement, the human rights activists, those far-from-common people who are still making up their minds over how public or how private their concern, anger, and hope should be. That watching, I think, should take precedence over any projection — certainly any conclusion (and I have read many ill-informed conclusions in the last 48 hours) — of what has or will happen in Iran. On 22 Khordaad, the day after, and far beyond. Earlier today, Karoubi stated that Ayatollah Khamenei, the Supreme Leader of the Islamic Republic of Iran, basically designated Ahmadinejad as President of Iran last year. Night of June 11 – A man is heard screaming Allah-o-akbar, as a sea of voices in the night echo. He then yells “marg bar dictator!”. Such chants have been used by the opposition movement to voice disdain towards the regime. Another video of a man yelling “marg bar khamenei!” in the night. Voices in the distant echo him. A woman is prominently heard yelling “allah-o-akbar” while countless other voices in the distance are heard. In Mashad cries of “Allah-o-akbar” are heard in the night. Last year was the most tumultuous year in Iran since the 1979 revolution. It was, in effect, the beginning of the end of the Islamic Republic. And it was triggered by the rigging of the presidential election, in which the government basically declared Ahmadinejad the winner. There are some who like to argue incessantly about whether the election was rigged or not, but that is not our intention. It is obvious that it was rigged, and we will not waste time debating this issue. There are plenty of sources of information that have done a great job proving this to the extent that something like this can be proven. Following the declaration of the Ahmadinejad “victory”, massive street protests broke out in Tehran and other major cities. At first, these protests were peaceful. People held placards asking “Where is my vote?” Millions marched in the streets. The response from the government was a wave of brutality in which innocent men, women and children were beaten, arrested, tortured and even murdered by the regime. Numerous days of protest occurred throughout the year, and each time, the regime cracked down hard. These days are all documented on Iran News Now. This is in reference to the fact that Mousavi and Karoubi had requested official government permission to hold the rallies, which were ignored and essentially rejected. Manic77 is saying that the blood of the martyrs killed by the regime is all the permission Iranian’s need, and he is promising that they will march from Imam Hossein Square to Azadi Square in Tehran. It remains to be seen, but one thing is clear if this video showing defectors from the revolutionary guards talking about how the regime was almost overthrown has merit (and it does have merit): the Islamic Republic is in trouble. This is the start of our live-blog of the anniversary of the rigged election of last year. We will update regularly as we get information. Stay tuned.